12 Ref Label, Media /Ribbon Source Not part of item 2. 4 Ref Fan Bracket Part of item 1. 10 01P6321 Spring, Stepper Motor Not part of item 12. 18 Ref Power Supply Part of item 1. 01P6346 Cable Assembly Printhead/Controller 6 and 8 inch printers only. 01P6473 Cable Assembly Printhead/Controller 4 inch printers only. 20 Ref Cable Assembly, Power Supply, Controller PCBA Part of item 1. 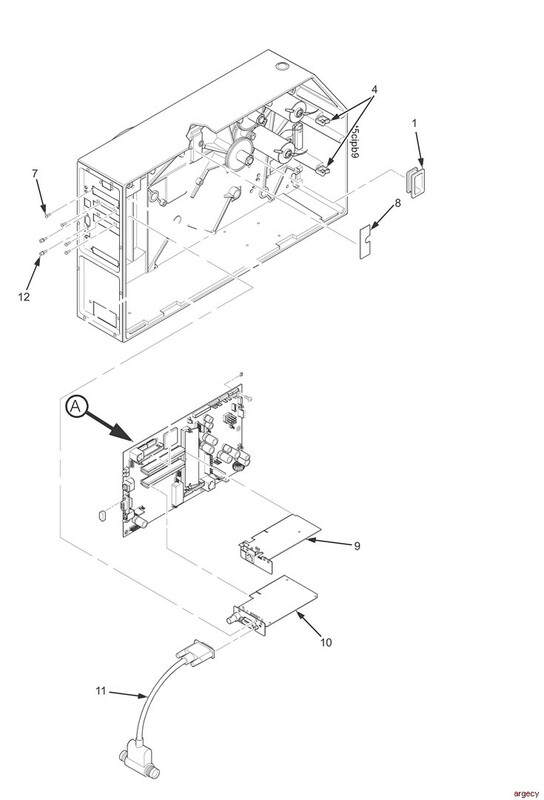 21 Ref Cable Assembly, Power Supply, Controller Printhead Part of item 1. 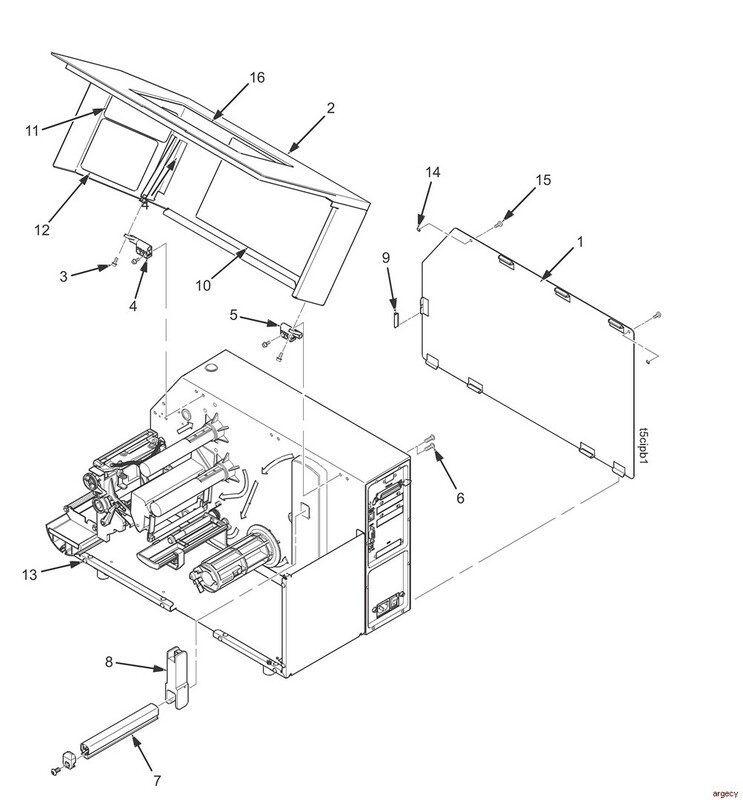 4 53P6804 Spares Kit, Rewinder, V3, 8 inch Rewinder option. Includes items 7, 10, 11, and 14. Additional core required when using thermal ribbon. Not used on -DT models. 10R2882 Guide Media Width Ext. 75P2064 Peel/Tear Assembly, 4 inch Includes item 7. Designed to support peeling short label lengths. Does not support any paper path assembly. 9 Ref Cable Assembly, Power Supply Part of power supply. 11 39U2875 Roller, Peel/Tear Used only on printers with the rewinder option installed. Does not support any paper path assembly. Includes thumbscrews. Includes items 31, 32, and 33. Does not include item 30. Note: Printheads are customer-supplied parts. 01P6271 Dial Head Pressure Adjustment Small knob version. 3 39U2845 Dial, Hex, Head Pressure Adjustment Use with large knob only. 01P6270 Indicator Head Pressure Dial Use with large knob only. 01P6269 Knob Lead Screw SM 0.90 in OD Small knob. 01P6361 Shaft Head Pressure 8 inch For small knob. 75P1130 Cable, Upper Media Sensor Not part of item 1. Not part of item 1. 31 Ref Bracket, Head Mount, 8 inch Part of item 1. 33 203281-001 (Ref) Screw, Btn Hd Soc Cap, M3x6mm (3) Part of item 1. 01P6270 Indicator Head Pressure Dial For small knob. 01P6475 Shaft Head Pressure 4 inch For small knob. 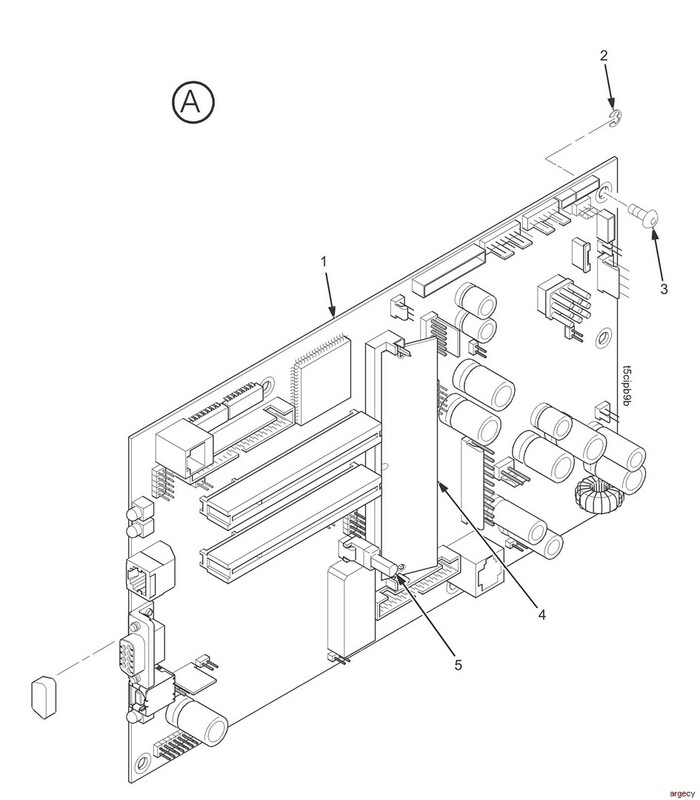 16 203251-001 (Ref) Screw, Hx Skt Btn Hd, ZI, M3x8mm (2) Available only in Hardware Kit 53P6974. 27P9072 Rack Gimbal Pivot 6 and 4 inch Not on -DT models. 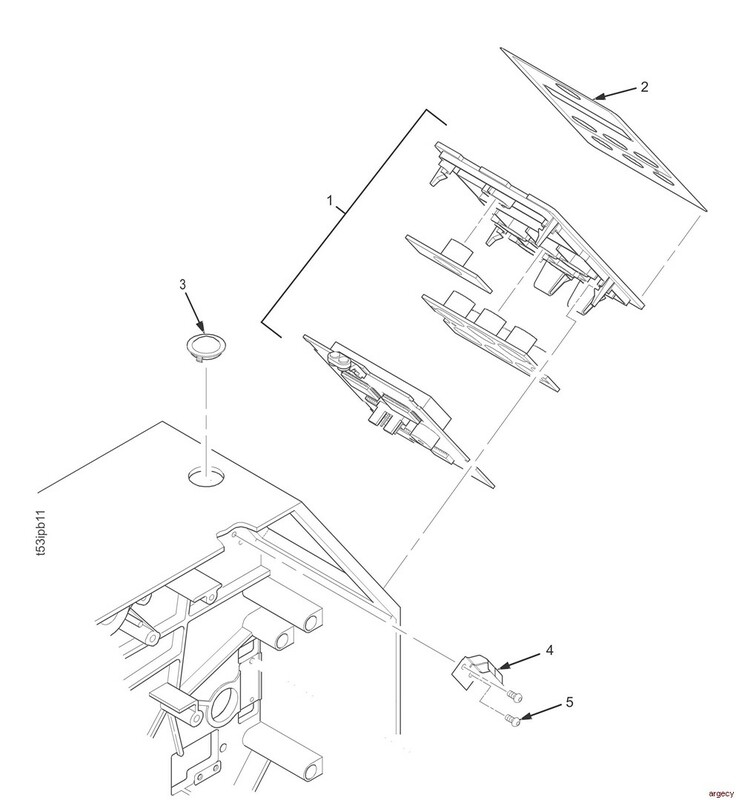 Ref Bracket, Head Mount, 4 inch Part of item 1. 57P2136 Upper Media Sensor Assembly, 4 inch Part of item 1. Upper sensor is enclosed in the printhead cover. 33 203513-001 (Ref) Screw, Btn Hd Soc Cap, M3x4mm (3) Part of item 1. 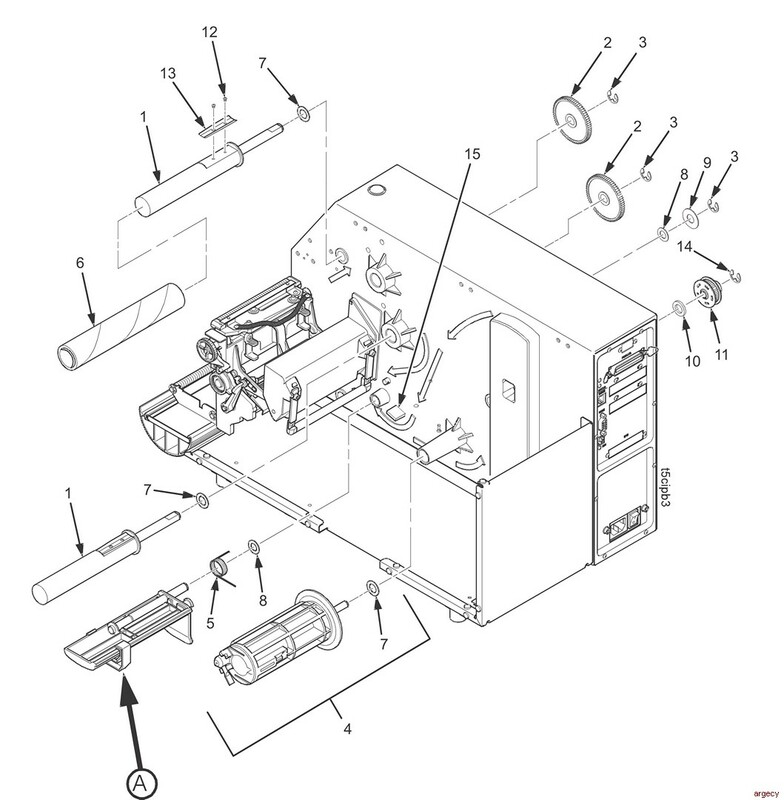 01P6300 Field Kit Platen Assembly 8 Inch Includes: 8 Inch Platen Shaft Two Sealed Ball Bearings Two Roller Bearings And Two Platen Spacers. Used in dual media sensor models only. 3 203257-001 (Ref) Ring, Retaining, .875 Available only in Hardware Kit 53P6974. 01P6319 Lever Deck Lock Includes magnet. 57P2139 Field Kit, Media Sensor Assembly, Lower Used In Dual Media Sensor Models Only. 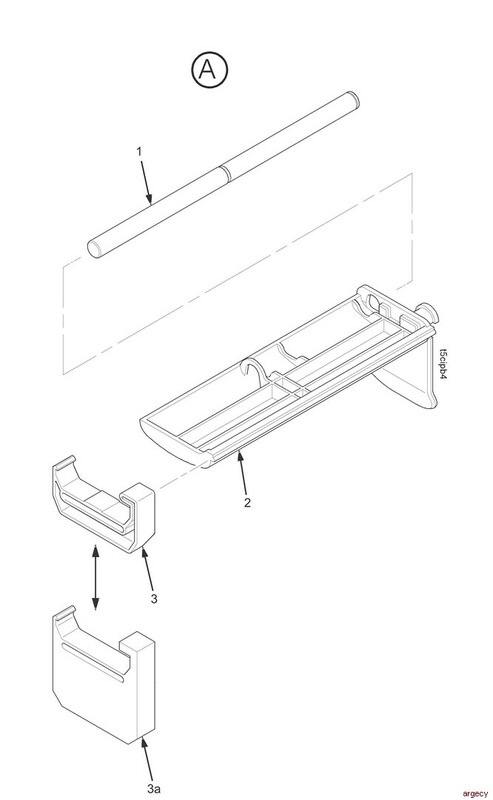 39U2861 Media Guard, 4 inch, RFID, V2 Part of item 2. 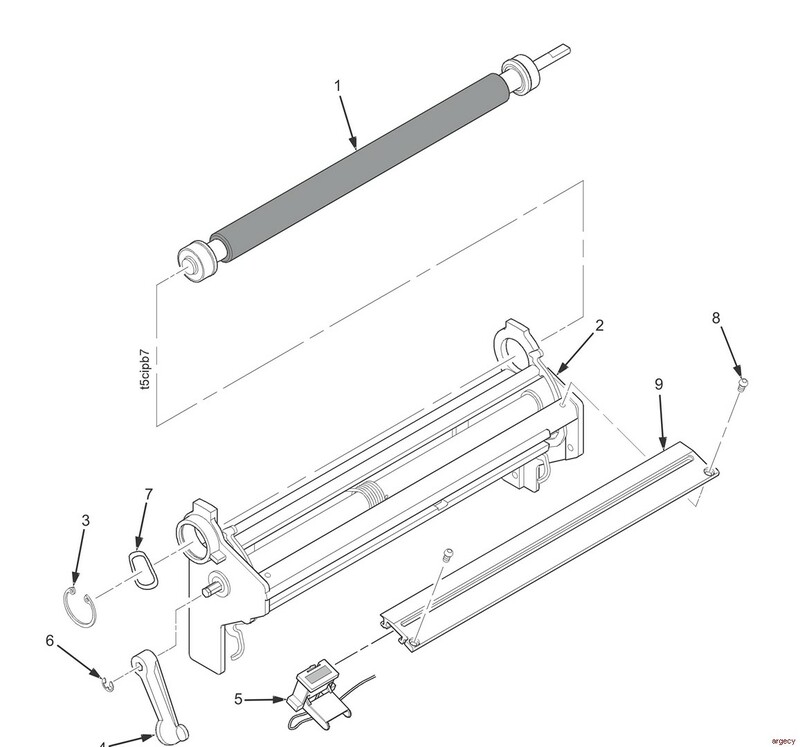 01P6478 Field Kit Platen Assembly 4 inch Includes: 4 inch platen shaft two sealed ball bearings two roller bearings and two platen spacers. 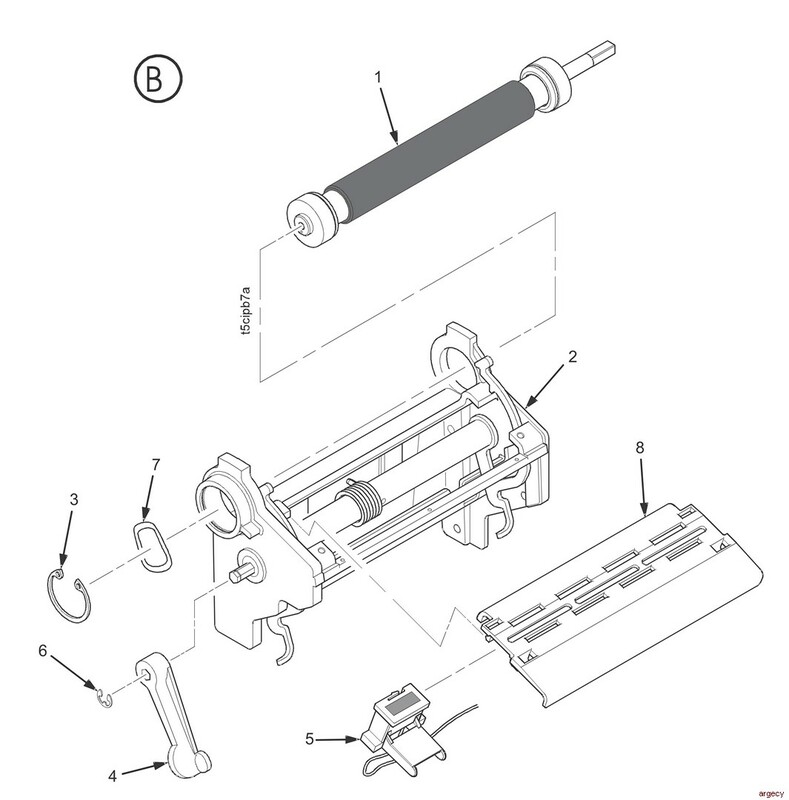 01P6478 Field Kit Platen Assembly Includes: 4 inch platen shaft two sealed ball bearings two roller bearings and two platen spacers. 4 inch Includes item 9. 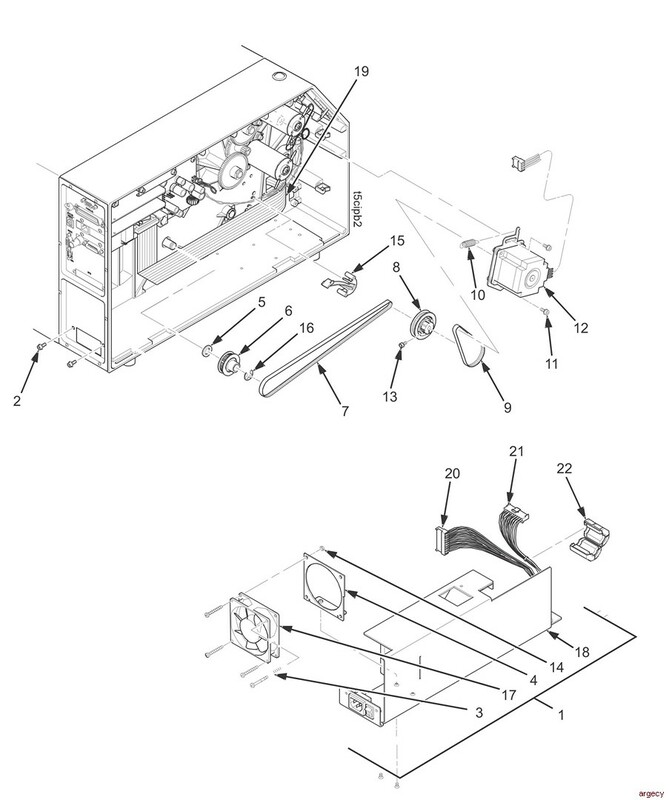 7 203414-001 (Ref) Washer, Wavy, .870 ID Available only in Hardware Kit 53P6974. 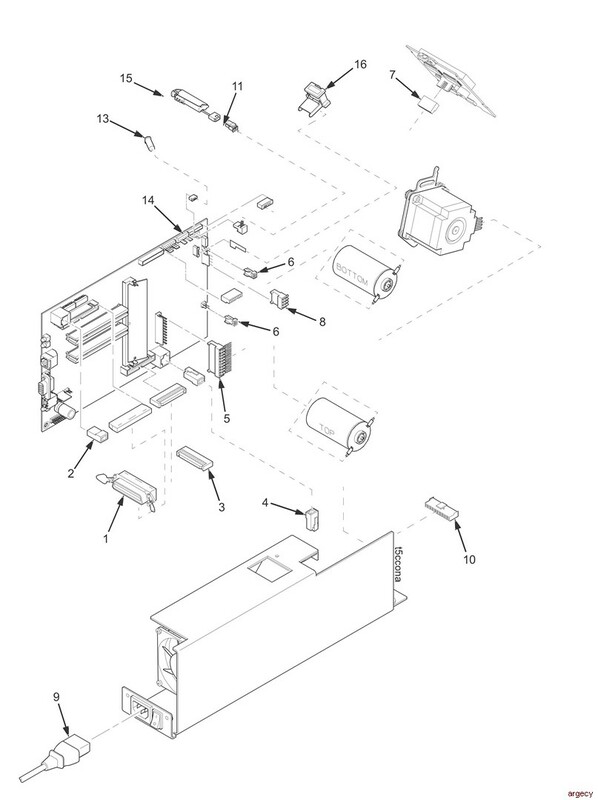 12 202434-001 (Ref) Kit, Screw, M/F, 4-40 (2) Available only in Hardware Kit 53P6974. Includes items 19, 20, and 21. 3 203711-001 (Ref) Screw, Captive, Btn Hd, M4x10mm (6) Part of item 1, but also available in Hardware Kit 53P6974. 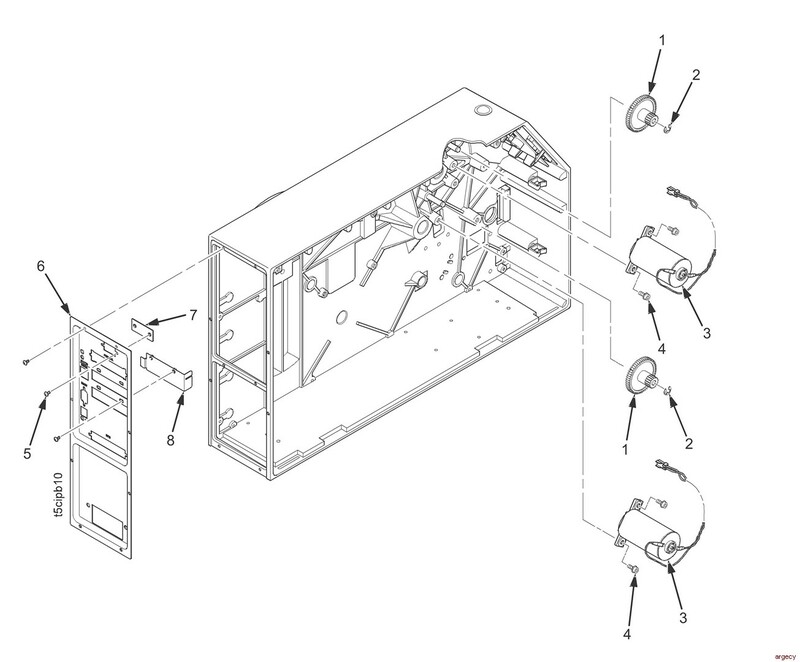 *This part number is used for printers with serial numbers starting with R1xxxxx. Security keys are programmed by using the SPX . 2 203419-001 (Ref) Ring, Retaining, E Available only in Hardware Kit 53P6974. 5 203251-001 (Ref) Screw, Hx Skt Btn Hd, ZI, M3x8mm (6) Available only in Hardware Kit 53P6974. Does not include overlay. Includes item 8. 5 203513-001 (Ref) Screw, Btn Hd, M3x4mm (2) Available only in Hardware Kit 53P6974. 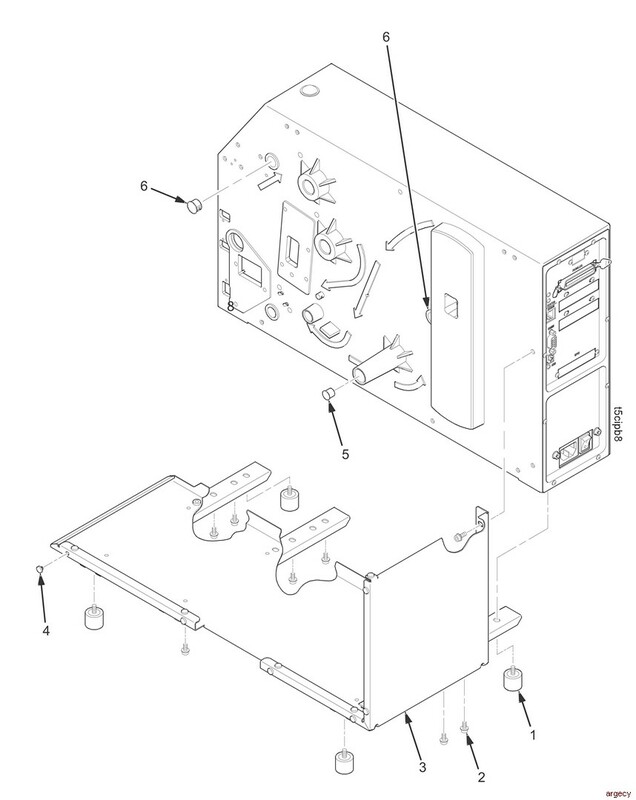 2 75P2518 Field Kit, Cable Assy, Validator option Includes ferrite. 6 Ref Part of Ribbon Drive DC Motor Not on -DT models. Part of the printhead assembly. 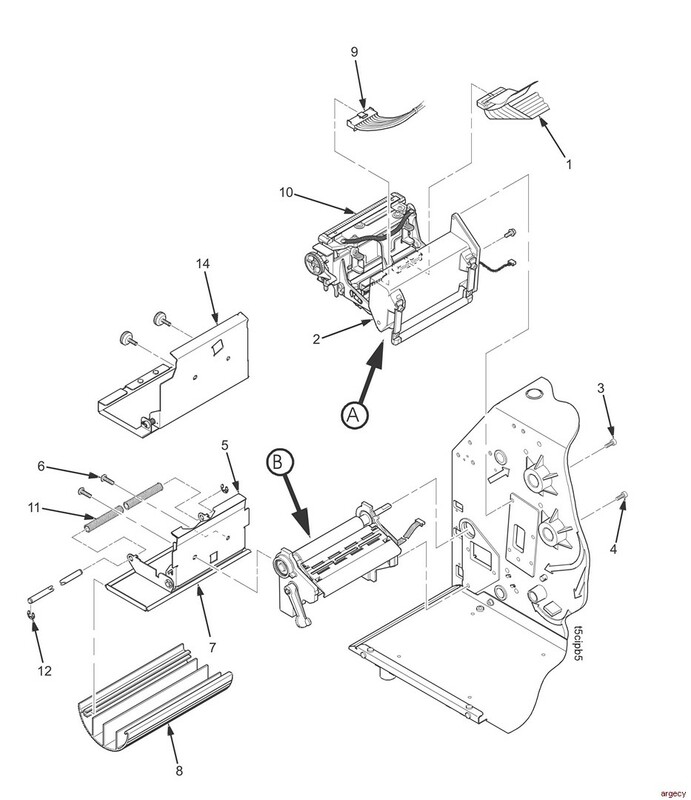 Hardware Kit 53P6974 contains an assortment of fasteners used in the printer. 105625-005 (Ref) Screw, Set, Oval, 8-32x3/8 2 Use on aluminum pulley. 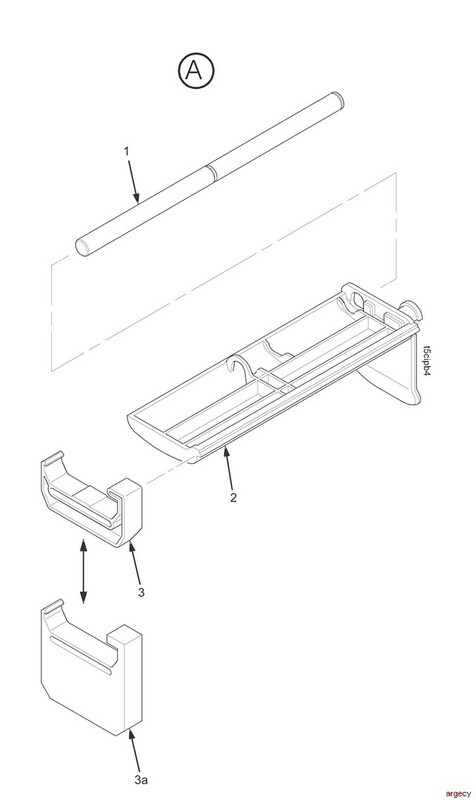 203225-001 (Ref) Washer, Nylon .25 1 For inboard front door hinge to take up excess clearance. 203255-001 (Ref) Screw, Set, Hex Socket Head, M4x8mm 1 Use on plastic pulley. 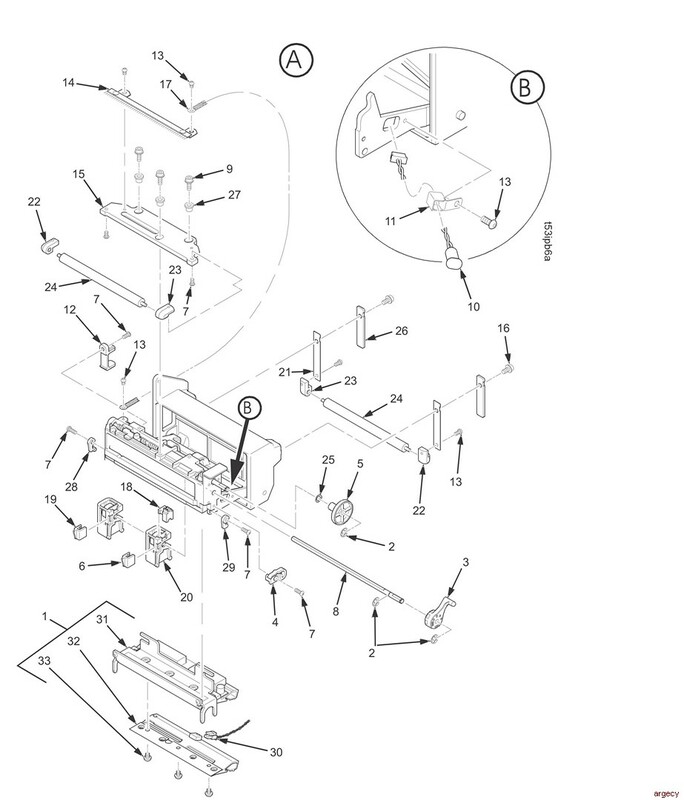 203345-001 (Ref) Washer, Wavy 1 For outboard front door hinge to take up excess clearance. 203590-001 (Ref) Grommet, Hole 4 For DC and stepper motors. 203643-001 (Ref) Plug, Frame, .5 inch 2 Frame plugs. 203682-001 (Ref) Plug, Frame, .4375 inch 2 For 4 inch rewinder hole. 203711-001 (Ref) Screw, Captive, Btn Hd, M4x10mm 2 Use to fasten frame side cover. 57P2153 contains an assortment of fasteners used in the standard and heavy duty cutters. The contents of the kit are listed below. 140988-005 (Ref) Screw, Phil Head, M2x8mm 2 Use in heavy duty cutter. 203251-001 (Ref) Screw, Hex Socket Btn Head, M3x8mm, ZI 8 Use in all cutters. 203252-001 (Ref) Screw, Hex Socket Head, M4x10mm, ZI 2 Use in all cutters. 203254-001 (Ref) Screw, Hex Socket Head, M5x16mm, ZI 2 Use in heavy duty cutter. 203513-001 (Ref) Screw, Btn Head Socket Cap, M3x4mm 6 Use in heavy duty cutter. 57P2153 Finger, Ground, Cutter 1 Use in heavy duty cutter. 204014-001 (Ref) Screw, Btn Head Socket Cap, M5x10mm 2 Use in all cutters.